There’s more to fall foliage than colorful eye candy. The nose gets in the game, too, at Meerkerk Gardens. Did you know you can get a whiff of cotton candy from the leaves of the Katsura tree? Just scoop up a handful of its fallen leaves, crush them and release a cloud of sweet flavor. “It smells of brown sugar to me, but that might be just my sinuses,” Meerkerk Gardens volunteer Joan Bell said. 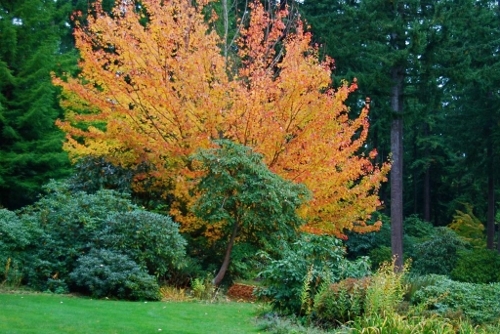 Anyway you smell it, the Cercidiphyllum japonicum that graces Meerkerk’s garden gate, is at its peak color (and yummy smell) along with the rest of the garden’s trees, just in time for this weekend’s annual “Fall Garden Fest” from 9 a.m. to 4 p.m. Saturday Oct. 5 and Sunday, Oct. 6 in Greenbank. Garden art and plants are featured in this end-of-season sale, at which you’ll find unique adornments for the garden, including twisted willow furniture, metal work, wirework deer cages, wood sculptures and colorful handmade garden hats. And don’t forget that now’s the time for tree planting. 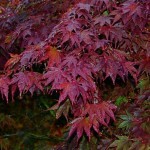 Meerkerk’s nursery is joined by other specialty nurseries, including those selling bamboo, exotic ferns and maple trees. 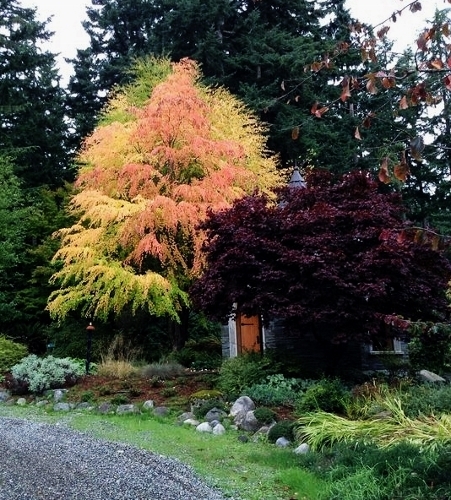 “We also have lots of exotic trees, and we even had ‘arboretum’ in our name at one time,” Bell said. “Lots of good color right now,” she added. Fall Garden Fest is the perfect time to stroll the 53 acres of this woodland garden and a forest preserve with its more than five miles of trails of natural serenity doused with the colors and smells of autumn. Entrance to the Gardens is free on sales days. 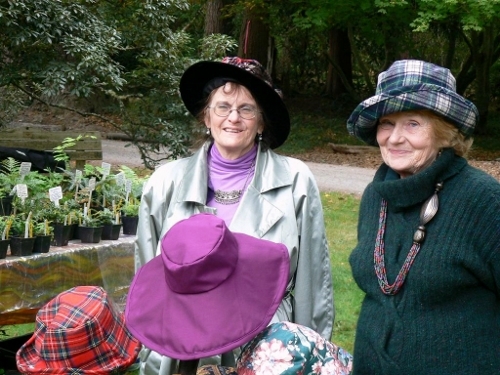 Events at Meerkerk Rhododendron Gardens help to keep this independent, not-for-profit organization open to the public and to promote such programs as its living classroom, which offers Botany Adventure Nature Tours to third through fifth-grade students throughout the year. 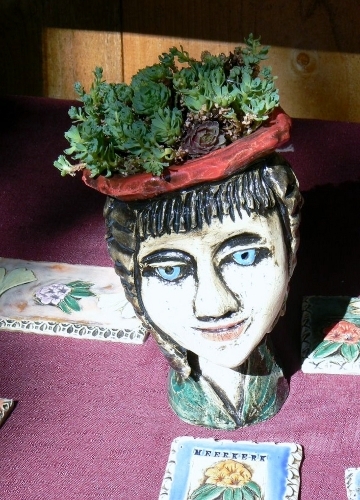 Artists create unique garden ornaments for Fall Garden Fest, such as this ‘sedum head” by Carol Rose Dean. Upkeep of the Gardens is also made possible through Friends of Meerkerk memberships, plant sales, admission donations, grants, fund-raisers and contributions. Meerkerk Rhododendron Gardens is at 3531 Meerkerk Lane at Highway 525 and Resort Road in Greenbank. Find out more at the website here, Meerkerk Rhododendron Gardens. Patricia Duff is a free-lance journalist and the editor of this magazine. Reach her at editor@whidbeylifemagazine.org.